First we need to start by setting syslog as the alerting mechanism. As the system administrator user (default smc user in this example), therefore, log in to Unisphere and navigate to the Common Task “Administration”. Under that task select “Alert Settings” and then “Notifications”. This is seen in the screenshot below. Once in the Notifications screen, the user can select the manner in which they wish to be notified, if at all, of events. The next screen shot demonstrates the three steps required to setup the alerts. Step 1: Check the box to enable syslog and select “Apply”. This allows Unisphere to send its alerts to the syslog server that is configured in Solutions Enabler. Unisphere relies upon the configuration in Solutions Enabler as previously explained by Cody in his entry. Unisphere has no capability to configure syslog settings for server or port in the GUI interface. Steps 2 – 3: Once syslog is enabled, assign each array alert levels by highlighting the array and selecting “Edit”. The alert level dialog appears upon editing. There are two types of alerts: Array and System Alerts and Performance Alerts. The former alert is for Unisphere in general (the smc part of the daemon options) and the latter is for the performance option of Unisphere (the spa part of the daemon options). Check the boxes for the level(s) for which you wish to receive alerts. Setting up the events for syslog allows the default alerts to be sent when thresholds are exceeded; however, customers may wish to customize the thresholds at which those events are generated. These can be adjusted in the Alert Settings page under the following categories: Alert Policies (array level), Alert Thresholds (pool events), and Performance Thresholds and Alerts. 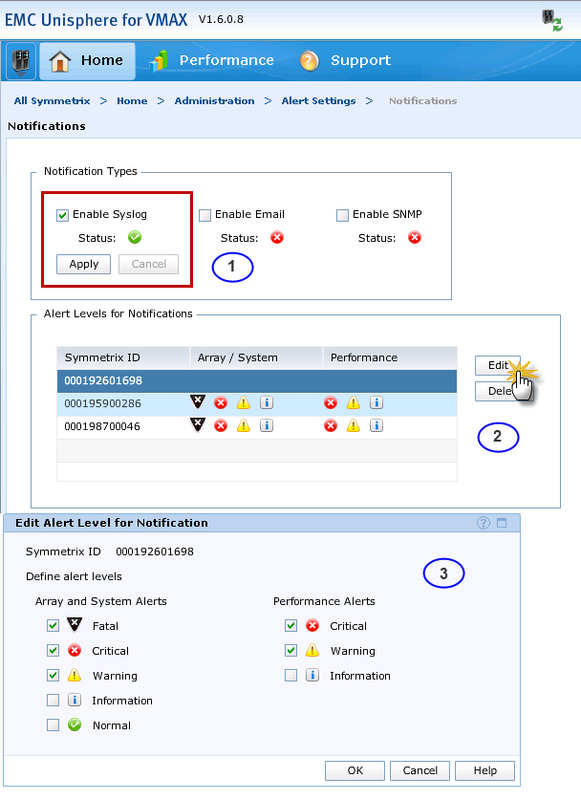 The following is an example of how to set a custom alert within Unisphere. 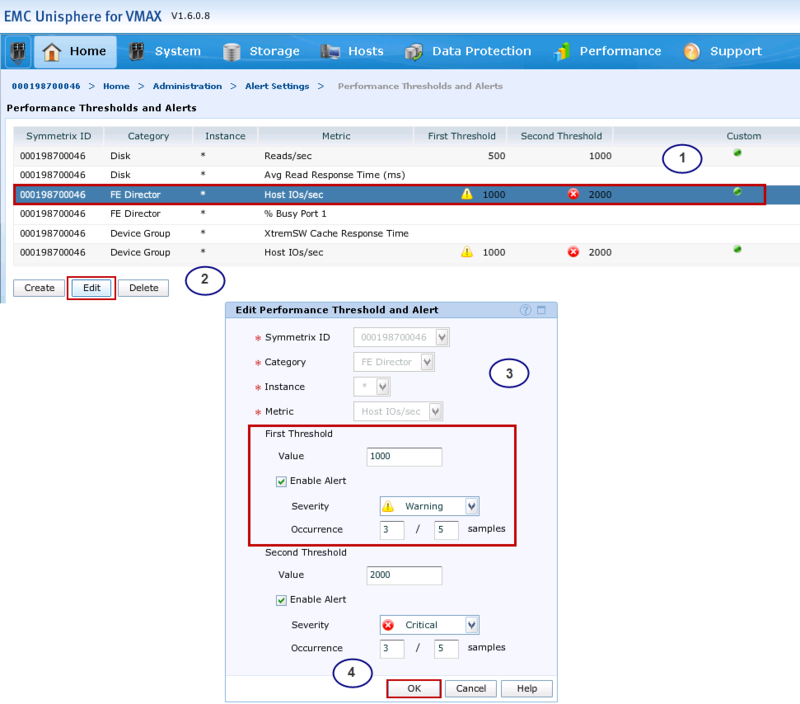 Start by navigating to the previously shown Administration page, and then select Performance Thresholds and Alerts as seen below. This now brings up the different metrics that can be customized and have alerts set upon them. Since the alerting mechanism, syslog, has already been configured, the alerts can be customized and simply activated. The next screen shot walks the user through (steps 1-3) setting a custom alert on the metric Host IO/sec for an FE Director. In this example, both a Warning and Critical alert value is set. The user can enable whatever alert levels are preferable at the desired metric value limit. Once the alert is enabled, whenever the conditions of the alert are met, a log entry will be issued to the syslog server as well as recorded locally within Unisphere. 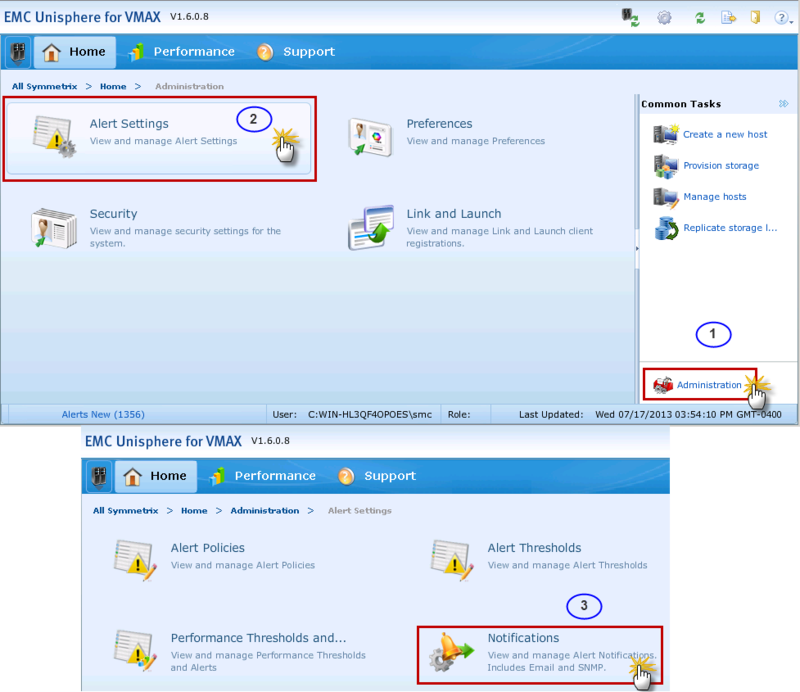 Please see the Unisphere for VMAX documentation as previously noted for more detailed information on setting alerts. Once all this information is in Log Insight, it would be useful to aggregate it into meaningful dashboards and user-defined fields. 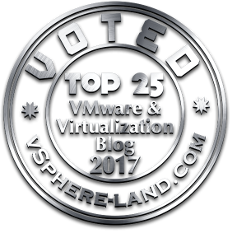 To this end, soon I’ll be posting a VMAX Content Pack in the VMware Cloud Marketplace which can be downloaded for free and imported into your Log Insight environment. It will include a white paper, and perhaps a demo detailing the content pack and the pre-requisite setups that Cody and I have detailed in the blog.